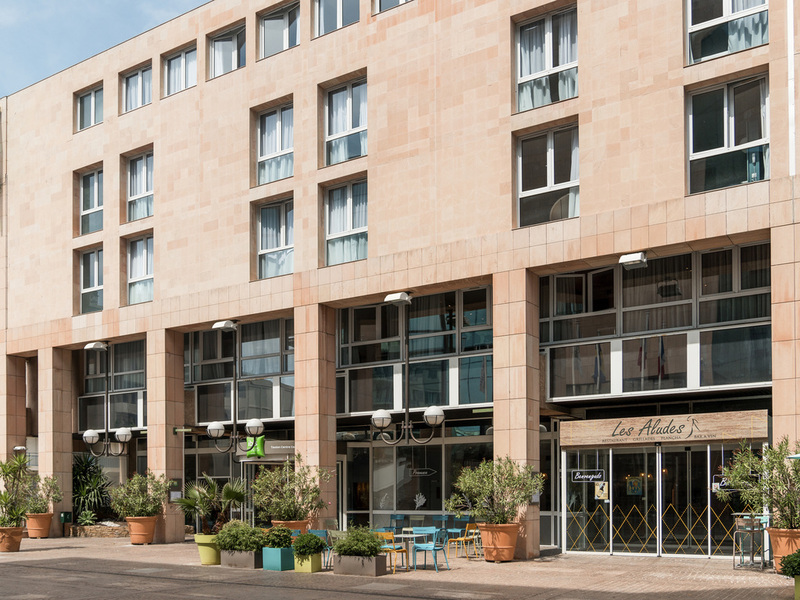 Whether you are visiting Toulon for a rugby match, a stopover before taking the ferry to Corsica or to visit the city and its ports, look no further than the ibis Styles Toulon Centre Port, ideally located opposite Mayol stadium, 55 yd (50 m) from the port, 219 yd (200 m) from the ferry terminal and 15 min from the beaches and TGV train station. Our restaurant and bar are ideal for food lovers. Free WIFI and breakfast with fresh fruit juice are included. The restaurant is closed on Sunday lunchtimes. The Les Aludes restaurant, grill and wine bar is open Monday to Saturday from midday to 2pm and from 7pm to 10:30pm. On Sundays, it is open from 7pm to 10:30pm. The bar is open from 6:30 AM until 11:30 PM.